By Reuters: Egypt is planning to build solar and wind power plants in the next three years with a combined capacity of 4,300 MW, said a report. Egypt's economy is showing signs of picking up after being damaged by political turmoil in recent years, with difficulties accessing hard currency and energy shortages among other problems, and has begun economic reforms under President Abdel Fattah Al Sisi. The government hopes an investment conference later this month will attract billions of dollars of foreign money to help develop the economy. Egyptian investment bank EFG Hermes said it was studying investments in renewable energy and hopes to start a leasing business in its home country within months as it looks to take advantage of improving economic sentiment. "We hope to launch a leasing business during the first half of 2015, subject to regulatory approvals, as the opening move in a number of new expansion projects for the bank, which could lead to extending its business into sub-Saharan Africa in time," remarked chief executive Karim Awad. "We want to expand (our private equity) business and we're looking very actively into Egypt today and the renewable sector," Awad told Reuters on the sidelines of a media event hosted by the bank. EFG, he stated, was expecting to play a key role in both attracting cash and putting its own money to work. The Egyptian bank also wants to expand its operations, which include brokerage, asset management and advisory services, in the Gulf region and consolidate its leading position in its home market. This includes listing companies on the Egyptian bourse, where it is currently advising Orascom Construction on its spin-off and dual-listing in Egypt and Dubai (UAE) and Emaar Misr, the Egyptian arm of Dubai developer Emaar Properties. "It's an extremely positive sign," said Awad of the new listings. He declined to say how many deals the bank was working on but indicated all were in interesting sectors including food and beverages. 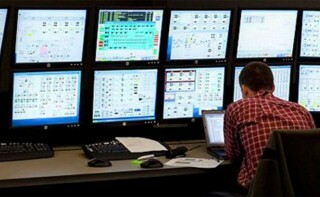 Yokogawa Electric Corporation announces that its subsidiary, Yokogawa Saudi Arabia, has received orders to deliver distributed control systems (DCS) for the PP13 and PP14 combined cycle power plants*1 that the Saudi Electricity Company (SEC) is building in Riyadh, Saudi Arabia's capital city. Yokogawa Saudi Arabia will deliver the CENTUM® VP integrated production DCS for the monitoring, control, and operation of these plants' gas turbines, heat recovery boilers (HRSGs), steam turbines, and electric systems (IEC 61850*2) as well as a plant operator training simulator (OTS). The company will carry out all DCS engineering work and provide support for installation, commissioning, and training for operators. Delivery of these solutions is scheduled for the first half of 2016. In 2012 Yokogawa Saudi Arabia also received an order for the Riyadh PP12 project, and will soon deliver a complete DCS and OTS solution for this 2,175 MW power plant. It is expected that this order and the two orders announced today will enhance Yokogawa's presence in Saudi Arabia. Technip has been awarded by Abu Dhabi Marine Operating Company (ADMA-OPCO) a contract for project management consultancy (PMC) services for the engineering, procurement and construction (EPC) works of the Nasr Phase II Full Field Development project – Packages 1, 2 & 3. The Nasr Phase II Full Field Development project serves ADMA-OPCO’s overall strategic objective for the midterm total sustainable production target. The Nasr field is being developed to secure an annual average production of 65Kb/d of crude oil by using offshore process facilities, wellheads, pipelines and facilities on Das Island. The scope of work covers the overall management of the EPC phases under execution in United Arab Emirates, Singapore and South Korea. Technip PMC will execute the project, which is scheduled to be completed in 2019. Vaseem Khan, President of Technip in the Middle East, commented: “This contract is a significant achievement and it reflects ADMA-OPCO’s trust in our capabilities in delivering key projects for them. Our association with the Nasr Full Field Development continues from the FEED(1) phase where Technip was the PMC contractor. This new award continues to reinforce Technip’s positioning on PMC activities, leveraging its long-lasting experience in executing complex projects”. State-run Abu Dhabi National Oil Company (ADNOC) has signed a technical agreement with US-based Occidental Petroleum to develop the al-Hail and Ghasha oilfields. "Under the terms of the new agreement, ADNOC and Oxy will cooperate in carrying out a number of activities that reach up to $500 million in investment," ADNOC said in a statement. "The agreement covers 3D seismic surveys, drilling of appraisal wells and conducting of engineering studies necessary for the fields' development." ADNOC holds a 70 percent share in the fields development venture, while Occidental holds 30 percent, according to the statement. Occidental also holds a 40 percent stake in Abu Dhabi's Al Hosn Gas project. According to the plan, the necessary evaluation studies and the desired goals of the developmental project is expected to be realised by 2017. Saoud Mubarak AlMehairbi, manager, Exploration Division at ADNOC, said: "Under this agreement Oxy will provide manpower support in form of secondees to ADNOC for short, mid and long terms to be agreed between the parties for the development of ADNOC human capabilities and will organise a number of training courses to provide human resources development opportunities to ADNOC staff focusing on selected areas such as geology and technical areas." MatrikonOPC celebrated the success of its key distributors and system integrators in EMEA at the 2014 Honeywell Users Group EMEA Conference held in The Hague, Netherlands. The awards recognize customer service, innovation and excellence among companies supplying and integrating Matrikon solutions in EMEA.